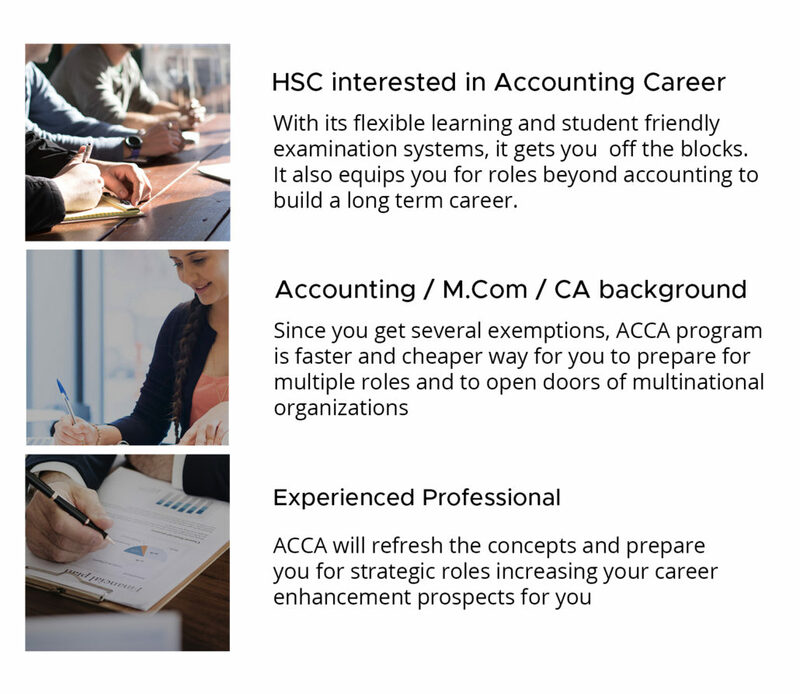 ACCA is a globally-recognized accounting qualification that provides a strong foundation to students and professionals for careers in Accounting, Tax Consulting, Auditing, Business Valuation, Treasury Management etc. In this page you can explore about what is ACCA, Course structure, syllabus, exam registration, career options after ACCA, how to pursue ACCA and related details. 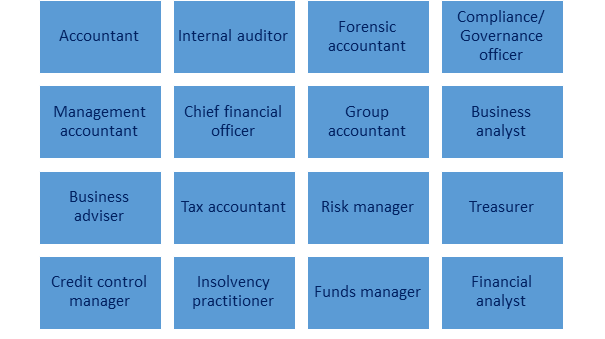 What is ACCA Course ? The Association of Chartered Certified Accountants (ACCA) institute, formed in 1904 is the global professional accounting body offering the “Chartered Certified Accountant” qualification. ACCA is fast growing international accountancy organisation with 2,00,000 members and 4,86,000 students in 180 countries. Globally Recognized in over 78 markets and has more than 80 international accountancy body partnerships. Communicates Credibility since your proficiency is tested over 14 rigorous exams and is a great way to give an edge to your resume. Well Designed Curriculum that is continuously updated to develop industry relevant knowledge, skills and professional values. Long Term Career since ACCA trains you to perform strategic roles at senior management levels. Pass Rate for this exam is 30% to 40%, as compared to 5% in the CA exams. Total Cost, at 2 to 3 Lacs, works out cheaper than available options. Who should pursue ACCA program? Multinational organizations including the Big 4 and large number of captives/KPOs are aware of the ACCA qualification since its members/students are spread across 181 countries. Most of the ACCA qualified professionals in India are employed with the Big 4s or MNCs. Employers in India have now become aware of ACCA qualification and are hiring them eagerly. 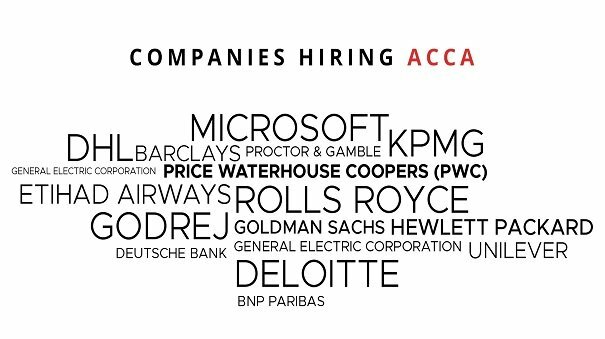 Main employers in India for ACCA are Price Waterhouse Coopers, Ernst and Young, Deloitte, KPMG, TATA Communications, Embassy Group, Grant Thornton, etc. CA and ACCA members are increasingly being offered similar job profiles, designation and salary packages. India is taking another step closer towards globalization by introducing Ind-AS drafted on principles similar to IFRS. ACCA covers IFRS broadly in its syllabus which would definitely give an edge to ACCA members in India. With the presence of many financial KPOs in India, India has become a major outsourcing hub for accounting and financial functions and ACCA qualified professionals are preferred by the employers for handling these functions. In India, average salary offered to ACCA fresher is between INR3,50,000 to INR 4,00,000. ACCOUNTING IS A BORING JOB. SAYS WHO? Record 36 months’ experience in a relevant role. The candidate can acquire the experience before /during/ after completion of the qualification. Complete the Ethics and Professional Skills module. The 13 courses and exams of ACCA are divided into three levels: Knowledge, Skills & Professional. Completion of levels from F1-F3 along with Foundation in Professional Ethics module helps you to earn Diploma in Accounting & Business. Completion of 9 subjects (including 3 in the Knowledge Level) along with Ethics & Professional Skills module, can earn you an Advanced Diploma in Accounting & Business. Students must complete the Ethics and Professional Skills module which develops a complete range of skills that is demanded by the employers. To qualify as an ACCA member, students must complete 36 months’ relevant work experience and achieve 9 performance objectives. Note: The Accountant in Business (AB), Management Accounting (MA) and Financial Accounting (FA) exams have the same structure and syllabus as the Foundation-level Diploma exams (FAB, FMA and FFA respectively). When are the ACCA exams held? ACCA has a flexible study approach and you can take their computer based test at any of their ACCA’s Authorized Computer Based exam centres. F1-F4 papers: On-demand CBEs – you can appear for these exams at any time of the year. F5-F9 papers: Session CBEs – you can appear for these exams in any of the four sessions held in March, June, September & December. What is the cost of pursuing ACCA? An exam entry fee must be paid for each exam that you enter. If you are taking examinations at either a special centre or an unlisted special centre, you will be required to pay an additional local invigilation and accommodation fee involved. These fees are normally paid direct to the Exam Supervisor in advance of the exam date. An exemption fee, same as the regular exam fee, is charged for each ACCA exam even if you are awarded exemption from it. Can a student take the ACCA qualification exams in any order? You can take upto a maximum of four papers per examination cycle. There are 2 examination cycles per year which are 1st February to 31st July and 1st August to 30th January. Papers/examinations must be taken in following order of modules (Knowledge/Skills/Professional) order. Within each module, you can attempt papers in any order. However, ACCA recommends that papers within a module should be attempted in that order as the syllabus has been developed to teach the subjects in a definite order. How many exams can a student take at each exam session under foundation in accountancy? There is no restriction to the number of exams that you can take. However, it is recommended that you attempt a maximum of four papers in each six-month period. How does a candidate find out about the venue and schedule on exam day? You need to log on to your myacca account approximately two weeks after standard exam entry closes to download and print your exam attendance docket. This will include the address of the centre, the papers you have been entered for, the dates for each paper and the desk numbers that are allocated to you in a particular venue. You must not forget to take your exam attendance docket with you to the examination centre. Always carry a valid photo identity proof such as a passport, driving licence or PAN/ Adhaar Card. 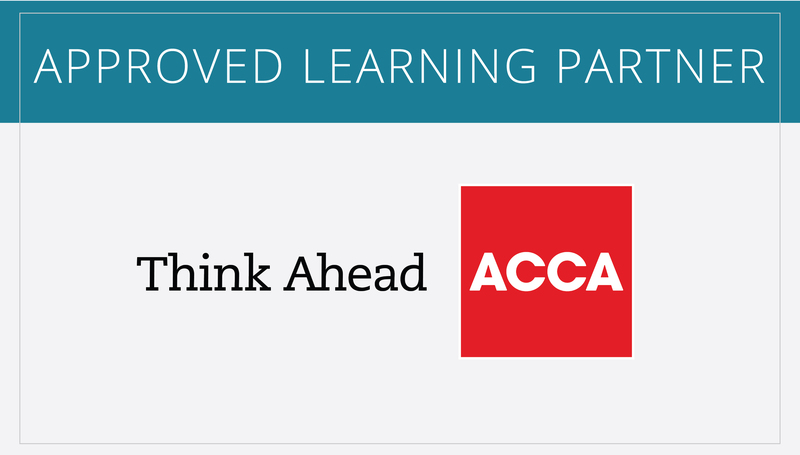 Can all students who have qualified 10+2 join for ACCA? Can I apply if I am a Commerce Graduate and have not scored 65% in English & Maths? Yes. If you are a Commerce graduate, you can pursue without pursuing the Foundation Course. 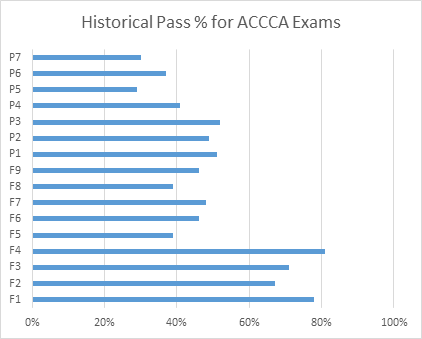 What are the exemptions in ACCA Qualifications for me? Based on your qualifications, you may be exempted from one or more paper of ACCA. What are the recent changes in ACCA course structure? Replaced the P1 Governance, Risk and Ethics, and P3 Business Analysis exams. Students who hold P1 and P3 passes with valid expiry dates receive a converted Strategic Business Leader pass. Innovative case study exam – taking the core competencies from the P1 and P3 exams. Using real-world scenarios, students will need to use a blend of technical, professional and ethic skills in the evaluation and presentation of their responses. Replaced the P2 Corporate Reporting exam. Students who hold a P2 pass with valid expiry date will receive a converted Strategic Business Reporting pass. Retaining the technical content of P2, it is significantly enhanced by giving students the skills needed to confidently speak the language of business, and explain reports and the impacts of transactions to a wide variety of stakeholders. Students still have the opportunity to choose their Option exams from the four subjects previously offered which remain the same. Unlike previously, all the questions within each of the Strategic Professional exams are now be compulsory from September 2018 (June 2018 for the Advanced Taxation exam). These changes mean students can maximise their time answering the exam questions, more efficiently managing the exam and subsequently boosting their chances of success. For Careers in accountancy, taxation, audit, internal audit, pricing analyst, corporate Finance etc.